If you are frustrated by the 18 hour blackouts we have been living with lately you might have been pleased to note that today the country’s power regulator, ZESA Holdings issued a statement clarifying the extreme powercuts. The explanations are what most people have come to accept as the usual reasons for our power woes: Maintenance work on equipment in Kariba, power import challenges, the wheezing Hwange Power Station and the winter wheat power demand puzzle. It looks like the biggest consolation from the statement is supposed to be that ZESA says these challenges are set for the next three weeks, at which point maintenance work will be finished. While we don’t know how accurate these statements are, we just hope that there will be a definite improvement in the three weeks that have been mentioned. At least every user of any electric device (ie everyone) should plan for another 3 weeks of intense use of their generator/ invertor/ solar cell (or any other alternative). Then again, as long as you want to stay connected in Zimbabwe, its better to have one of these alternatives whether the situation improves in three weeks time or not. ZESA Holdings would like to inform its valued customers that there is a marked increase in load shedding across the country resulting m the suspension of the advertised load shedding schedules. This has been due to a series of power system disturbances, which resulted in forced generator outages and equipment failure, particularly at Hwange Power Station. From the 10th of September 2014, HCB, which has been our primary source of power imports has been supplying ZETDC with 50MW, which is the firm part of our Power Purchase Agreement. Prior to this period, ZETDC could import up to 400MW when available, which is the situation which prevailed for the better part of the first part of the year. ZETDC was also getting power as a result of constraints to evacuate power from the Direct Current (DC) lines to Eskom. These constraints have since been addressed, and ZETDC is now limited to 50MW. The situation has been exacerbated by the fact that the load from the Coal Mines in the Tete Province of Mozambique has since peaked up significantly, which has resulted in less power being available for export to ZETDC. Kariba South Generator Number 5 came out of service on the 28th of August 2014 for scheduled Annual maintenance and was scheduled to return to service on 25 September 2014. The unit is still out and is now anticipated to Return to Service by 4 October 2014. This has the effect of reducing power supply by 125MW. After widespread consultations with agricultural stakeholders, a strategic decision in the national interest was taken from the 10th of September 2014 to support the winter crop, which was now experiencing severe moisture stress and required a final round of irrigation. A total of 80MW is being channelled to the wheat sectors and load shedding is restricted to non-wheat farming load and domestic customers. Harare and Bulawayo consequently end up shedding more than what is contained in the published schedule. Intermittent trips have been experienced on Generators 4 and 6 from the 13th of September 2014, with the latest trip occurring on Sunday, 28th September, 2014, with the unit still to return to service. The impact of this outage is the unavailability of 150MW from the Grid. The power supply situation is expected to remain subdued for the next THREE weeks, after which there will be an improvement as maintenance works will have been completed. The Power utility apologises to its valued customers for the inconvenience this has caused and is doing its best to address the current challenges to improve the power supply situation. During these difficult times, customers can assist by using power very sparingly. How long have these outages been going on? And we only get a statement now?? Thats just another symptom of how they let things get this bad in the first place! why are you doing rural electrification program and increasing load shedding.Zvekuti vanhu vasaita deforestation hazvishandi kana Load shedding ichiko. So are you honestly saying rural folks don’t deserve electricity? Whatever your reasons, if you are saying that shame on you. lol. its not everyone who has these powercuts i assure you! I was talking to someone and they said maybe at most 6 per year. No this person is not influential in anyway just a regular joe like me. 8-5 middle class job. does not live near a hospital or the state house either. What they did was negotiate a deal with ZESA apparently where they pay extra to avoid the load shedding as an entire community. now how far true this is I do not know. But what I do know is everytime i do not have power i visit so called person and they have power. CORRUPTION, INCOMPETENCE and I-DON’T-CARE attitude. That’s the whole public service and rulership (only rulership is I-DON’T-CARE-AS-LONG-AS-I-AM-LINING-MY-POCKETS) of the country top down. down here in Chiredzi, power is for those in suburbs only 24/7 and we get nothing at all in Tshovani. is it zesa’s fault here or someone else taking advantage of the situation and making a paranoid distribution schedule. load shedding should apply to all citizens @ equal lengths. maybe ndivo vanoda kuona tv vega, apa havaoni Ztv yacho futi. (a) Any person walking along Harare’s streets during the day can see that the remaining streetlights are left on, wasting the power we need. It’s as if we are paying someone a salary every month to leave these lights on. (b) I am reliably informed that our country exports power to Botswana during the night, because our manufacturing industries are almost comatose. So why are we accepting this nonsense? Let’s refuse to pay our electricity bills until these shenanigans are dropped. 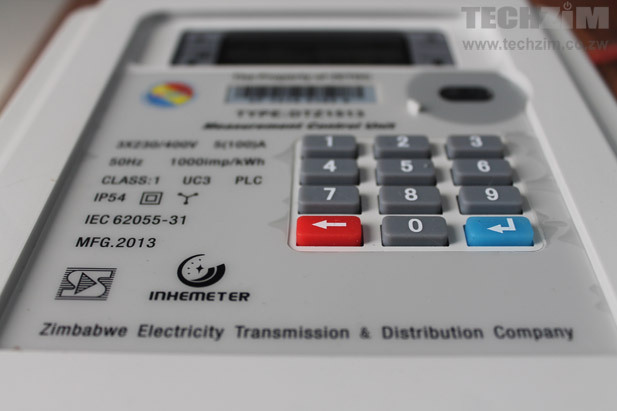 Final note: go to http://www.theindependent.co.zw/2014/10/03/zesa-exports-power-amid-blackouts/ to read more. a lot of electrical energy is lost thru tower lights which are always on during the day whenever there is electricity supply. i find it a fraud for ZESA to make us pay for electricity when such a situation exists. i bet my last dollar come the bills the charges wil be totally unjustifiable. wen wll ths implosion end. Mugabe presiding over the crumbling infrustructure. Fr 34 yrs what Smith lft mugabe has put to wste. Wht a cluelss bigot.